Doylestown, Pennsylvania: Doylestown web design and inbound marketing agency IQnection has been awarded Platinum Certified Agency Partner status by HubSpot, one of the world’s leading marketing software developers. Certified Agency Partners offer inbound marketing services to a variety of clients using HubSpot’s cutting edge software, combining both customer relationship management services and the industry’s leading marketing automation platform. 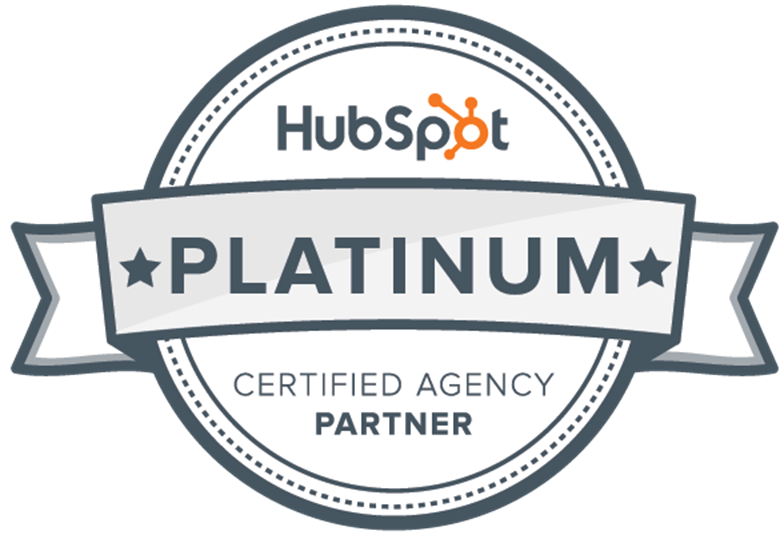 Platinum Certified Agency Partner status is one of the highest certifications an inbound marketing agency can achieve with HubSpot. It indicates that IQnection has brought the latest inbound digital marketing practices to a large number of clients while delivering services that meet HubSpot’s high standards. 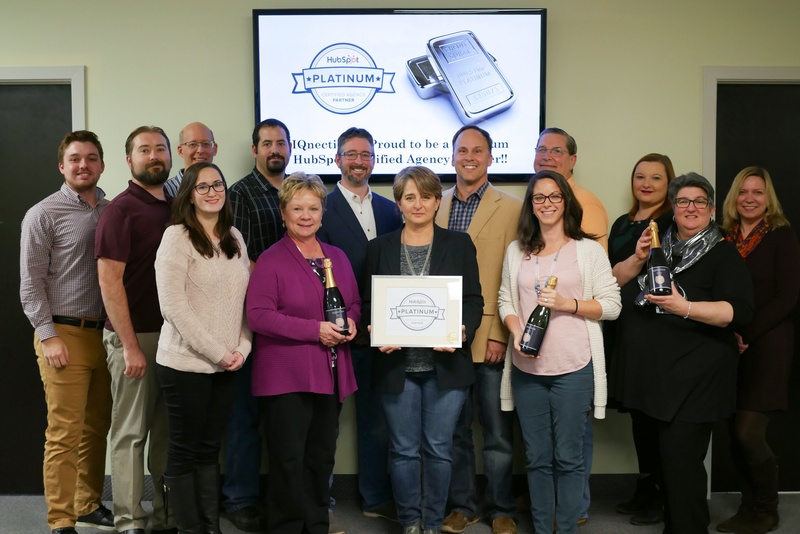 IQnection is one of only two digital marketing agencies in the Commonwealth of Pennsylvania to hold the coveted Platinum Certified Agency Partner status title. As a Platinum Certified Agency Partner, IQnection will have more opportunities to work closely with the team at HubSpot to troubleshoot complex accounts and beta test new features which will fulfill clients’ marketing needs. Acknowledging and understanding that today’s buyer has changed drove IQnection to partner with the HubSpot, the first marketing software to conceptualize the inbound marketing philosophy. IQnection utilizes inbound marketing strategies to grow their own customer base, as well as to help their clients rapidly expand their online lead generation. Inbound marketing techniques are the perfect fit for growing companies to use as more and more potential customers turn to the internet first to find content, read company reviews, and participate in social media networks to help them make smarter purchasing decisions. IQnection’s goal is to help clients in the business-to-business space. They are particularly focused on general manufacturing, medical device manufacturing, and healthcare industries, helping all their clients connect with buyers and generate higher quality leads for their businesses. HubSpot Conversations, a chat feature which stores messages in a single place and associates them with leads in your HubSpot CRM. Website chat features also have a conversion rate up to five times higher than traditional landing pages, making this a valuable offering for IQnection’s marketing clients. HubSpot Sales Professional, an add-on feature that increases a number of organizational and productivity tools for your sales team, helps to automate meeting set up, emails, and more. The Customer Hub, which adds customer service features to the HubSpot software, creating quick and efficient processes involving customer insight and organization. “At IQnection, our purpose is simple: It is to connect our clients with the people that they can best serve. It is written on our wall, it is in our handbook, it’s what we focus on every single day. We accomplish this by leveraging highly advanced inbound marketing techniques, and through a sincere commitment to do what is in our client’s best interest. We believe that by partnering with our clients, putting their interests above our own, we can make a meaningful change in their business and lives. Clients become a part of the IQnection family, and we realize that we own everything to them. That’s what sets us apart,” said Cawood. IQnection’s commitment to find employees that embrace these same values allows us to foster a great culture. IQnection is a leading player in the inbound marketing agency space and has become one of Philadelphia’s premier inbound marketing agencies, serving southeastern Pennsylvania and the surrounding areas for over 18 years. With an experienced staff of web design professionals and inbound marketing experts, IQnection has been able to take regular businesses and provide them with best-in-class websites coupled with web marketing solutions that create new revenue and improve client retention. HubSpot is a leading inbound marketing platform, providing comprehensive tools for marketers to create, implement, and measure inbound marketing tactics and campaigns. Recognizing the importance of agency partners mastering the inbound marketing methodology, HubSpot offers this Agency Partner Certification which tests the agency’s knowledge of inbound marketing, as well as the HubSpot software and how it can be utilized to drive results for clients. Since 2006, HubSpot has been on a mission to make the world more inbound. Today, over 15,000 customers in more than 90 countries use HubSpot’s software, services, and support to transform the way they attract, engage, and delight customers. HubSpot’s inbound marketing software, ranked #1 in customer satisfaction by VentureBeat and G2Crowd, includes social media publishing and monitoring, blogging, SEO, website content management, email marketing, marketing automation, and reporting and analytics, all in one integrated platform. Sidekick, HubSpot’s award-winning sales application, enables sales and service teams to have more effective conversations with leads, prospects, and customers. HubSpot was also named the top cloud-based content marketing app in Q4 2017. HubSpot Co-Founder and CEO Brian Halligan was named one of Glassdoor’s top ten highest-rated CEOs for 2017. Achieving a 98% approval rating, Halligan outranked Mark Zuckerberg and was ranked about as well as Elon Musk. One employee said, "Brian Halligan, Dharmesh Shah, and J.D. Sherman are some of the most transparent (and very different from each other!) leaders I've ever worked with. The fact that we have access to their thoughts, concerns, vision, etc. in real time and at our fingertips at any minute means we can all do our jobs that much better." 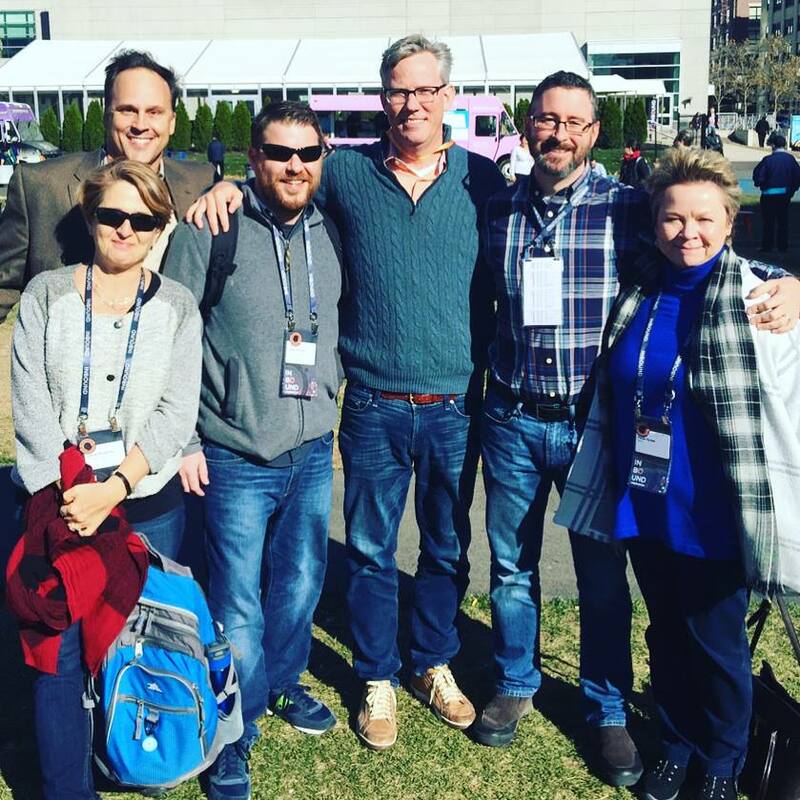 HubSpot was also named one of the top 100 workplaces for millennials by Great Place to Work. Through its company core values, IQnection believes that approachable and innovative leadership, combined with focused, hardworking team members, make for a strong company. Therefore, IQnection aligns with HubSpot’s leadership and organizational philosophy in addition to its innovative marketing software. In addition to award-winning design services, IQnection prides itself on providing high-quality content for its clients, establishing them as industry leaders and attracting well-qualified customers to their websites. The ease of use HubSpot’s content management platform is another way HubSpot is an ideal partner for both IQnection and IQnection’s marketing clients. Previous Previous post: How Much Should I Budget for Marketing?